A self-taught, award winning artist and photographer. Badsha played an active role in the South African liberation struggle, as a cultural and political activist and trade union leader. Born in Durban in 1945, Badsha grew up in a Gujarati Muslim family. His grandparents immigrated to South Africa from India in the late 1890s and the family forms part of the country’s small but influential Gujarati Vhora Muslim community. His father Ebrahim Badsha was a pioneer artist in Durban and a member of Bantu, Indian Coloured Arts Group (BICA) the first black arts group in Durban in Durban. His uncle Moosa Badsha was a photo journalists and worked for a number of local publications. Ebrahim had a major influence on omar interests in the arts and photography and his political activism. Badsha first became politically active while at high school in the wake of the 1960 Sharpeville Massacre and the government banning of the liberation organisation. He was the deputy secretary of the Durban Students Union and was drawn into the ANC underground and worked with Phyllis Naidoo AKM Dockrat. In 1965 he was denied a passport to travel abroad to study, later that same year he entered a small woodcut in the Arts South Africa Today exhibition which won the Sir Basil Schonland Prize. This was the beginning of a life juggling his work as, artist, photographer and political activists. He became an influential voice in anti apartheid artists and writers circles. Badsha was one of the few Black artists who worked outside the main stream white-dominated commercial gallery circuit and refused to exhibit in segregated venues or state-sponsored international shows. It was during this period that he met and developed a very close friendships with the artist Dumile Feni and the writers Mafika Gwala, Mandla Langa and many of the leading artists and active who were prominent in the Black Consciousness Movement. In 1970, Badsha played a leading role in the revival of the Natal Indian Congress (NIC), and worked alongside Rick Turner, Eli Gandhi, Mewa Ramgobin and other activists in running work camps at Phoenix settlement and in the formation of the short-lived Education Reform Association. It was also in 1972 that he stopped exhibiting and became closely involved with the trade unionists Harriet Bolton, David Hemson, Halton Cheadle and other students in the Wages Commission. He together with Harold Nxasana, Alpheus Mthethwa and other members of the ANC underground in Durban became involved with wages commissions members in the General Factory Workers Benefit Fund (GFWBF) as well as in the formation of the Institute of Industrial Education (IIE). With the start in January 1973 Badsha becomes a leading figure in the emergence of the GWIU and the formation of the Textile, Metal Unions. In late 1973 he moves to Pietermaritzburg to help with a strike at a Textile Factory and the running of the Pietermaritzburg office of the Trade Union Advisory Coordinating Council (TUACC). With the banning in 1974 of his colleagues David Hemson, Halton Cheadle and others, Badsha moves back to Durban and acted as secretary of TUACC and was responsible for establishing the Chemical Workers Industrial Union (CWIU) and the Unions first general secretary. . In 1976, in an effort to document work-related injuries at chemical plants and as a tool for trade union education Badsha took up photography. He started working as a freelance photographer and three years later, worked with banned academics and activists on a book of photographic essays, on children under apartheid. The book Letter to Farzanah was then also banned. He worked with the political prisoner Shadrack Maphumulo (also banned) in mobilising people to build community civic organisations in order to lobby for basic amenities and to stop removals in the Inanda area of Durban. Badsha was instrumental in 1981 in initiating the formation of the legendry anti apartheid photographers collective Afrapix. The group played a leading role in documenting the popular struggles of the 1980s. Badsha is recognised for his leading role he played in shaping the social documentary photography tradition in the 1980’s. In 1984 Badsha’s published his seminal photographic book Imijondolo. In 1982, Badsha became the head of the photography unit of the Second Carnegie Commission on Poverty and Development. He recruited 20 photographers to participate in the project and he curated the highly influential exhibition and book South Africa: The Cordoned Heart. The images were exhibited at a conference held in Cape Town in 1984 and the book was published in 1986. Both the exhibition and the book were critically acclaimed internationally as a seminal work that created a new vocabulary to tell the South African story. Despite a great deal of international pressure the South African government, they refused him a passport to travel to the opening at the International Center of Photography (ICP) in New York. In 1987 Badsha established the Centre of Documentary Photography at the University of Cape Town. He became active in the United Democratic Front (UDF) and was a founding member and chairperson for the Cultural Workers Congress, an affiliate of the UDF. In 1990, for the first time after 25 years, Badsha was issued a passport, which was valid for a mere three months. He travelled to London and then to the USA on a speaking tour for the ANC. He met his old friend Dumile and other exiled South Africans. He visited Ernest Cole in hospital and was with him a day before his death. After the unbanning of the ANC in 1990, Badsha became the head of Western Cape Arts and Cultural Department. He spearheaded the creation of the Federation of South African Cultural Organisations (FOSACO) and worked fulltime as a volunteer as well as acting as the convener of the Mass Democratic Movement and serving on the political committee of the ANC’s Western Cape 1994 election campaign. Unlike many other activists he did not make himself available for political office in the new government but rather continued to actively work with civil society and grassroots youth and cultural organisations. On 1985 he establishing the Ikapa Arts Trusts, which organised the annual Cape Town Festival. In 1995 Badsha received a grant from the Danish Government to document life in Denmark. The exhibition of this work was opened by Vice President Thabo Mbeki and the Danish foreign minister. Badsha travelled to India in 1996 on a travel grant from the Indian Government and undertook a photographic project in the state of Gujarat and in a small town of Tadkeshwar the birthplace of his grandparents. In 1997 his family moved to Pretoria when his wife Nasima was made head of the newly established division of higher education in the Department of Education. In 1999 Badsha started work on a popular history project and in 2000 established South African History Online (SAHO), a non-profit online history and heritage project which has become one of Africa’s largest history websites. In 2001 he published Imperial Ghetto, a study of life in the Grey Street complex of Durban, and edited With Our Own Hands (2002), a book focused on the government's poverty relief programmes. Badsha continued developing SAHO and his photographic projects. In 2008 Badsha and his family moved back to Cape Town. In 2015 his retrospective Seedtime opened at Iziko National Gallery and travelled to Durban and Johannesburg. 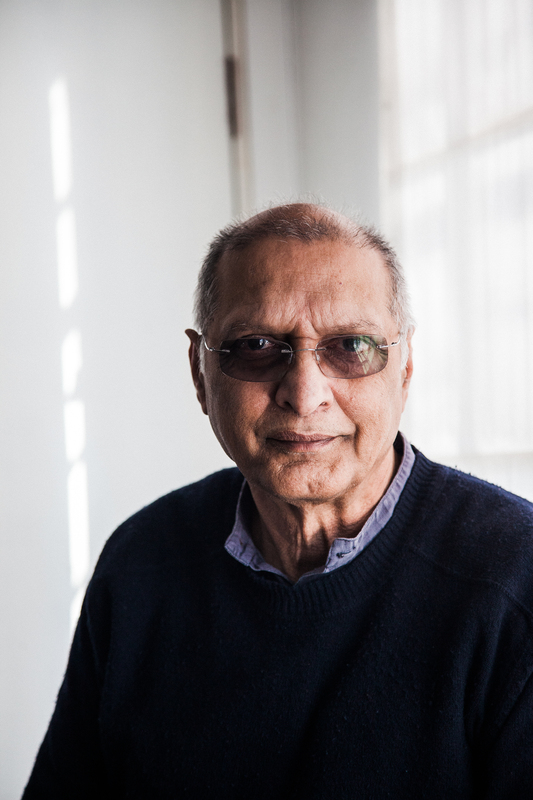 His paintings and photographs have been exhibited locally and globally since 1965 and his works can be found in major public collections across South Africa and in leading galleries and institutions abroad. He is regarded by many as one of the leading and most influential anti-apartheid cultural activists, artists and documentary photographers in the country. He is the recipient of a number of awards for painting and photography, including the Sir Basil Schonland Award, Arts South Africa Today 1965, the Sir Ernest Oppenheimer Memorial Award, Arts South Africa Today 1969, the Natal Society Of Arts - Annual Award 1968, and “Images of Africa" First Prize at the African Arts Festival in Denmark, 1993. He is a recipient of a number of awards for his work as arts, photographer and historian. In December 2017 he was awarded an Honorary Doctorate from the University of Stellenbosch. In April 2018 The President Cyril Ramaphosa awarded him the National Order of Ikhamanga (silver). He is the author and co-author of six books and since the mid sixties curated numerous exhibitions. View list of awards, publications and exhibitions.